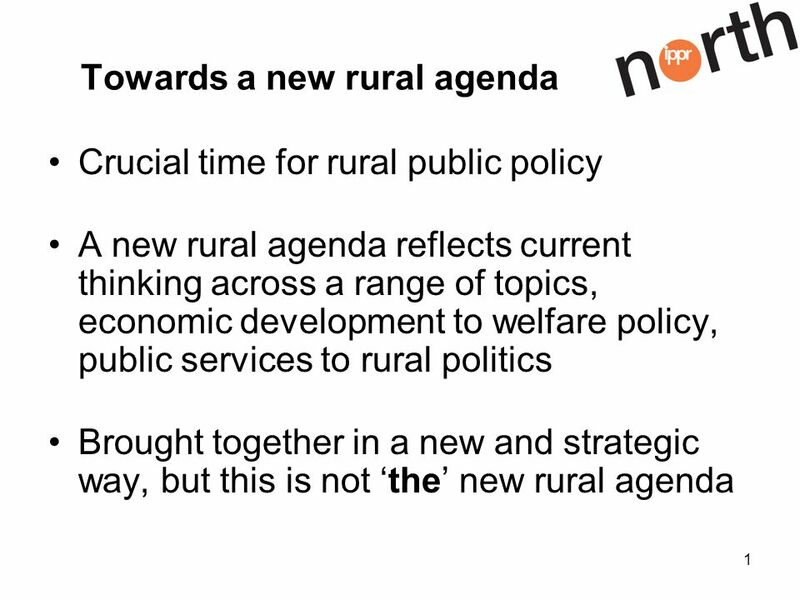 1 Towards a new rural agenda Crucial time for rural public policy A new rural agenda reflects current thinking across a range of topics, economic development. 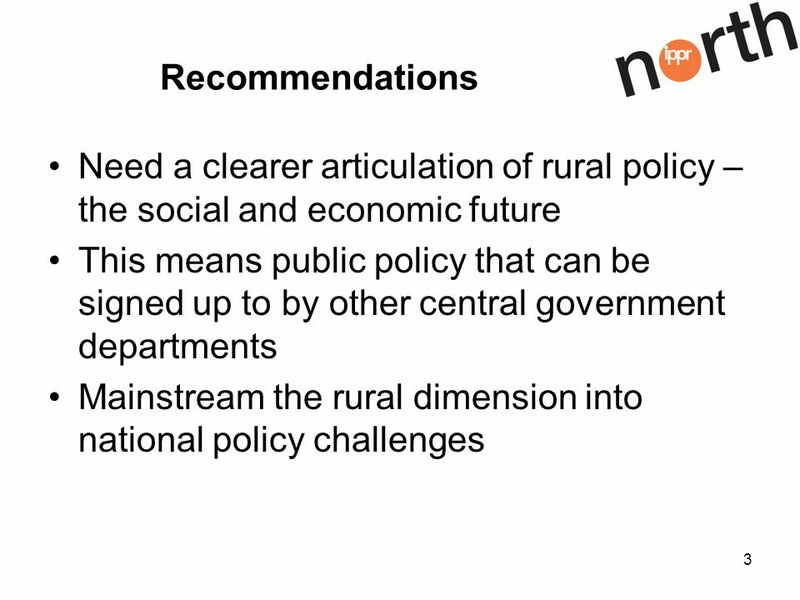 Download ppt "1 Towards a new rural agenda Crucial time for rural public policy A new rural agenda reflects current thinking across a range of topics, economic development." Reflections by the actors supporting the reform - NGOs Sofia, 6 July 2007. SGA1 – The evolving role of UNAIDS in a changing financial environment UNAIDS has adapted to a new funding environment and developed strong and positive. Patient & Client Council Friday 16 th March 2007. 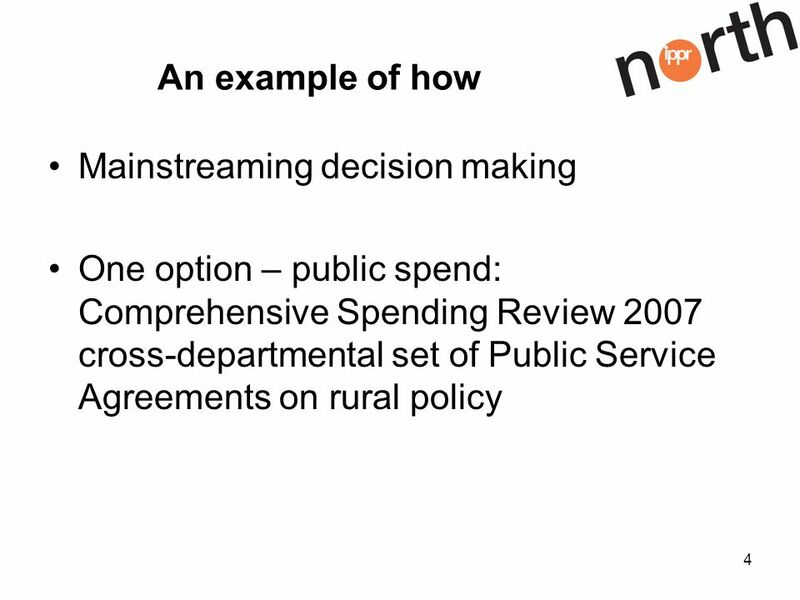 Driving through focussed Change in Reforming the Public Administration Robert Watt, Secretary General Department of Public Expenditure and Reform ICPS. 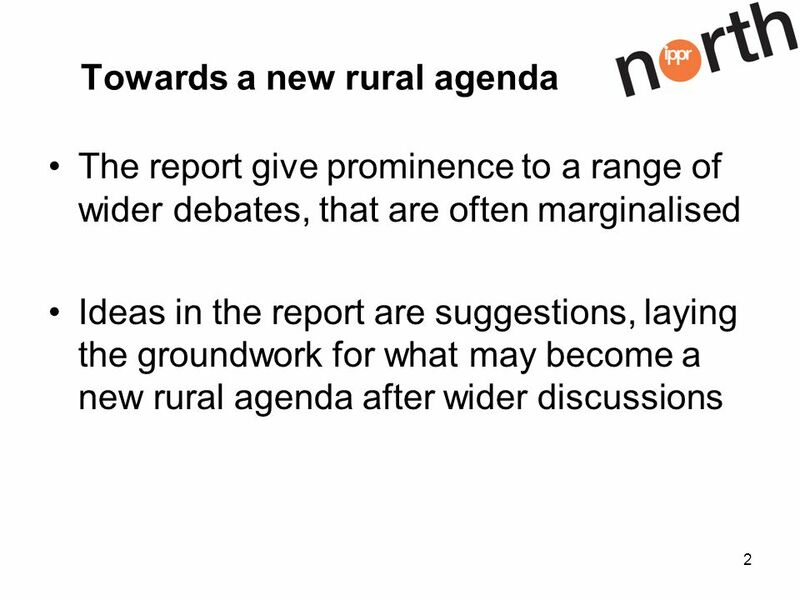 1 South East Rural Community Councils Increasing the Regional Voice of Rural Communities Jacinta Thorley SERCC CEO A member of the Rural Community Action. 1 Shaping Health and Wellbeing in Yorkshire and Humber: National Policy context Martin Gibbs Health Inequalities Unit Department of Health 1 February 2012. Enhancing graduate education (and research) a fresh look at library engagement ARL Fall Forum 2007 Research, Scholarship, & Interdisciplinarity Concurrent. NIHE: Opportunities and Challenges of Reform Donald Hoodless Chairman Northern Ireland Housing Executive. Implementing a School Wide Teaching and Learning Forum Morag Redfern Paul Street School of Health & Social Care. National Forest Programs and Poverty Reduction Strategies Lusaka, Zambia 25 September 2006 Preliminary Findings - Zambia. Towards Evaluation in the Family Resource Centre Programme Presented by : Claire Dineen, Co-Chair National Forum of Family Resource Centres and Manager. Lord Peter Smith Chair of the Association of Greater Manchester Authorities Greater Manchester Localism through Collaboration. 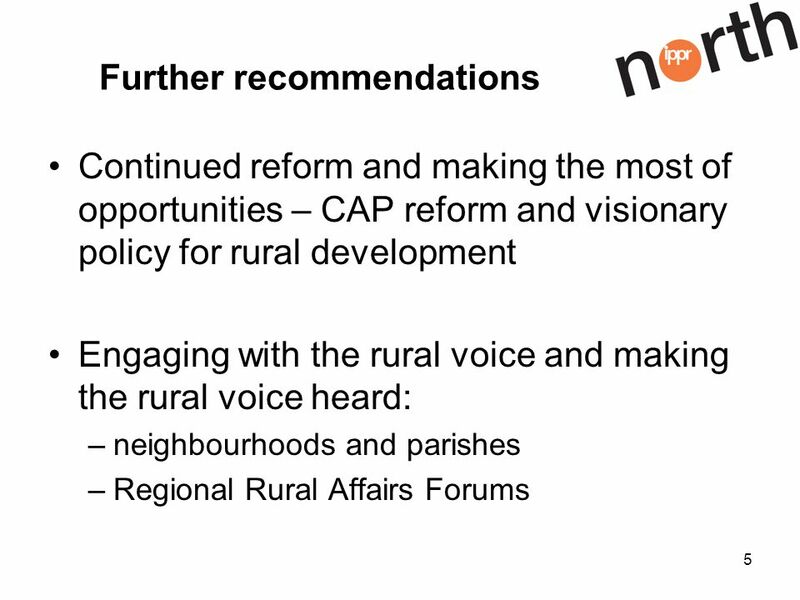 1 Establishing the West Midlands Regional Forum on Ageing Chris Eade Assistant Director : Worklessness and Later Life Government Office West Midlands.